London is joining capitals worldwide in events marking the 70th anniversary of the liberation of the Nazi death camp Auschwitz-Birkenau in Poland, commemorating the millions who lost their lives during the Holocaust. Many Holocaust survivors now live in Britain. They will be joined by senior politicians, dignitaries and religious leaders at a national commemoration in central London. Meanwhile, 70 candles, designed by artist Anish Kapoor, will be lit at venues across the UK, one for each year since the liberation. One of the candles will be lit at Auschwitz itself. Labour Party leader Ed Milliband’s parents are of Polish Jewish origin. His grandfather lost his life in a German forced labor camp during the Holocaust. Around 60 members of Milliband's extended family reportedly died at the hands of the Nazis. Another Holocaust survivor, now living in Britain, is Ruth Young, who was born in Ulm, Germany. The Nazis, led by Adolf Hitler, came to power in 1933. “They could do to us whatever they liked,” Young explains. In 1939, she and her mother fled to the United Kingdom. 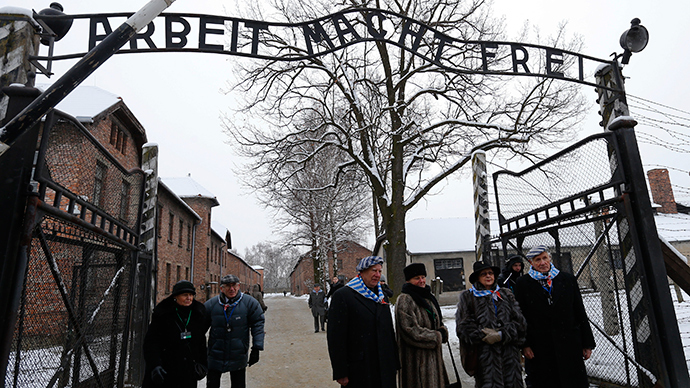 Auschwitz-Birkenau was liberated by the Red Army of the Soviet Union on January 27, 1945. Between 1940 and 1945, 1.1 million people, the vast majority Jews, were killed at the camp. Survivors will lay wreaths and light candles at the so-called Death Wall at Block 11 on January 27. Heads of state, including the presidents of Germany and Austria, as well as representatives from wartime Allies will commemorate the liberation anniversary. UK campaign group Unite Against Fascism (UAF) is holding its own event in Glasgow. “The aim of the meetings is not only to remember the victims of the Holocaust and why it happened, but also to draw attention to the modern day threat of fascism and racism, which is on the rise across Europe and in Britain,” the UAF said. People across the globe use Holocaust Memorial Day to share their experiences and remember those who perished.